The City of Oceanside has both a weekly farmers market and a weekly food/fun market – both of which happen on the main drag on Thursdays. Hunter and I love food carts and food stands of any kind so we try to catch the market a few times when we are in town. 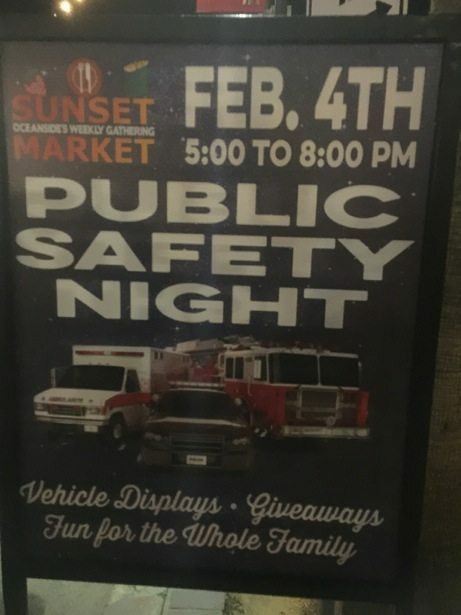 It was a huge bonus when our first Thursday in town was also Public Safety Night at the night market – obviously we had to go! As part of National Public Safety Week, communities across the USA were creating events to connect with and educate the public about what they do. 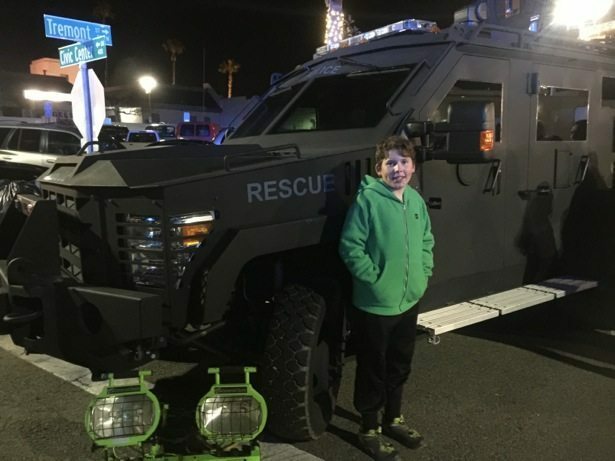 Both the Oceanside Police and Oceanside Fire Departments had a large presence, which was great for kids young and old! 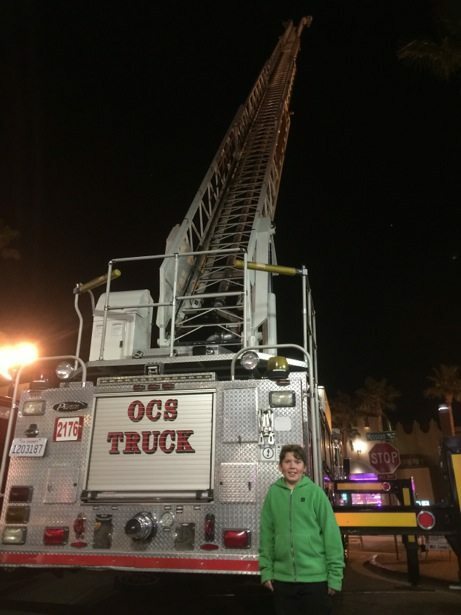 Oceanside Fire and EMS were easy to find thanks to their ladder truck having the ladder fully extended – Wow, that is big! Firetrucks are somewhat old hat to us from all our travels. 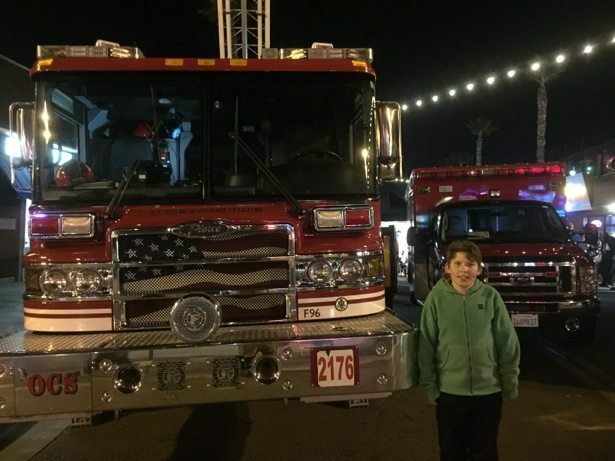 We’ve found that firemen are typically super friendly and welcoming about letting Hunter explore their trucks and learn about their profession. 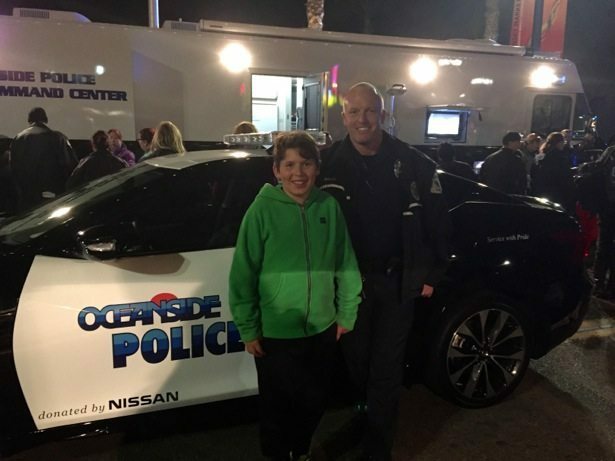 A big thanks to all of the Oceanside Public Safety Staff – being out and approachable sure helps inspire and motivate kids, both to trust them and to consider the roles as a future career.